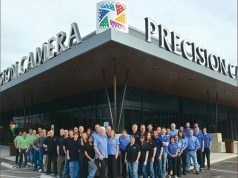 The PMA show has always been, as they are quick to market, the place for the most concentrated exhibits of photo-imaging products and services. Since its merger almost three years ago with the International CES, the renamed PMA@CES has become so much more than that. The 2014 PMA@CES will run concurrently with the big International CES extravaganza in Las Vegas from January 7–10, 2014. This year’s show will be held once again in the LVH Paradise Center (formerly the Las Vegas Hilton). As for what to look for at the 2014 gathering, you can start with what should be an interesting and provocative conference schedule. There were a few on the docket that caught our eye and we’ll briefly preview them here. As the point-and-shoot camera market continues to feel the heat from the hard-charging smartphone category, finding out as much as you can about how indispensable these products have become to consumers is time well spent. The session titled “The Smartphone/Tablet Economy: The Consumer Obsession” should prove quite interesting. It is being held on January 6, from 10:00–11:00 a.m. in the LVCC North Hall, Room N260. You can certainly expect the smartphone topic to pick up steam in a session titled “Your Customers Have Cameraphones – Here’s How You Can Still Make Money Off Their Photography”—a panel discussion comprised of leading photo retailers that will present a variety of opportunities to take advantage of the exponential rise in images taken by smartphones. This one will be led by the executive director of the Independent Photo Imagers (IPI), Brent Bowyer, and it will include Jirair Christianian of Mike’s Camera, Mark Comon of Paul’s Photo, Mat Inkley of The Imaging Depot and Stephen Weiss of Creve Coeur Camera. This session is set for January 7, 1:00–2:00 p.m., in the LVH’s Shimmer Room. Your multichannel marketing efforts are undoubtedly front and center these days and will clearly be a big part of the discussions at this year’s show. “Retail Strategy: Retail in the Future” is a session that will examine the latest trends and marketing tools you’ll need to take your business to the next level. Just to whet your session appetite a bit, a recent Infosys study titled Engaging with Digital Consumers claims that 78% of consumers indicated that they would be “more likely” to purchase from a retailer again if it provided them with offers targeted to their interests, wants and needs. Nearly the same percentage (71%) indicated that they would be more likely to purchase from a retailer again if it provided them with offers targeted to their individual location. Think ramping up your mobile marketing efforts might be a good idea? We do! This Retail Strategy session is set for January 9, 10:45–11:45 a.m. in the LVH, rooms 9–10. Speaking of important retail strategies, the session titled “Retail Strategy: Let’s Start Printing Photos Again” sounds like a PMA “must attend” event. The photo merchandise category continues to carry with it some bold profit predictions. 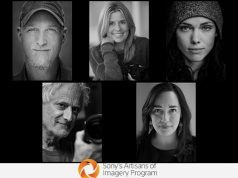 Learn new marketing messages that will instill the call to action to motivate your customers to print their favorite photos and, in the process, increase your print volume as Fujifilm’s director of Marketing, Joellyn Gray, and DIR’s very own Jerry Grossman will lead this panel discussion on January 7, 2:15–3:15 p.m. in the LVH’s Shimmer Room. The PhotoImaging Manufacturers and Distributors Association (PMDA), the industry’s preeminent trade organization, is bringing the 46th Annual PMDA Awards Dinner to CES once again on the evening of January 6, 6:30–10:00 p.m. at XS – The Nightclub at Encore. PMDA will present five awards honoring outstanding contributions to the imaging industry, including the prestigious Person of the Year. Contact Michelle Tramantano at michelle@pmda.com for tickets and more information. And to experience the finest in education for photo-imaging retailers, chain stores, professional imagers, photographers and more, be sure to check out the DIMA, AIE Future Imaging Summit, PSPA and SPAA conferences at Bally’s Las Vegas, January 5–6, 2014. Lastly, if you’re getting into Las Vegas a day or two early, you might want to swing by the Riviera Hotel for the always interesting and informative Storage Visions Show held on January 5–6, 2014. The data storage category is one that is beginning to matter more and more to your customers, and this space is seeing some amazing innovation of late—and this event covers it from every angle. Visit storagevisions.com to find out more. As a final thought on the 2014 PMA@CES, the LVH’s Paradise Center is right next door to the Las Vegas Convention Center, so your schedule can conveniently include time at both the International CES (to see more of the entire CE universe) as well as PMA@CES for zeroing in on the imaging category. For the full CES and PMA@CES conference schedules go to cesweb.org/Register-Plan/Full-Schedule.aspx. Okay, yes, it’s a lot of walking, but so worth the effort, not to mention a great way to work off all the overeating you did during the holidays. Happy hoofing.